Finding Wonderland: The WritingYA Weblog (archive): Toon Thursday: The Unnecessarily Triumphant Return! Toon Thursday: The Unnecessarily Triumphant Return! Weeeee'rrrrre baaaaacccckk....and we're bad. Good bad. Not bad bad. I don't think. I had some links I was going to post, but I'm kind of worn out now. I'll limit it to this: Check out new site Diversity in YA Fiction, pioneered by authors Cindy Pon and Malinda Lo. 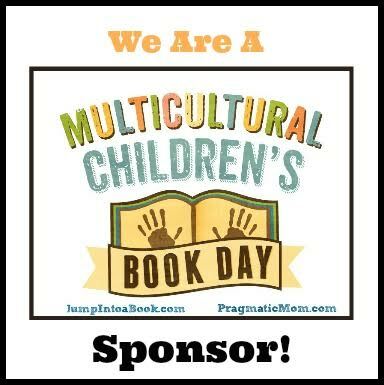 It's "a book tour and website devoted to celebrating diversity in middle grade and young adult books," particularly those with characters of color or LGBT characters. Right up our alley here at FW, and a truly excellent endeavor! Hahahahaah! "Unnecessarily triumphant." Oh, I dunno, I think the triumph is totally necessary. I really like the updated fonts and such, and must congratulate you if FB is only distracting you 15% of the time! My "Enticing Reading" choices are currently taking up 35% of my pie -- it happens every year. I get on a tear from the Cybils, and I can't stop. Also, "Unnecessary Baking Projects" will also be added for me these days. I go schlepping into the kitchen, and suddenly -- sugar cookies! In new shapes! I have too many cookie cutters. I had a mouthful of caffeine craving 5 percent when I clicked on this post. It probably goes without saying but you can't laugh out loud with a mouthful of caffeine craving. 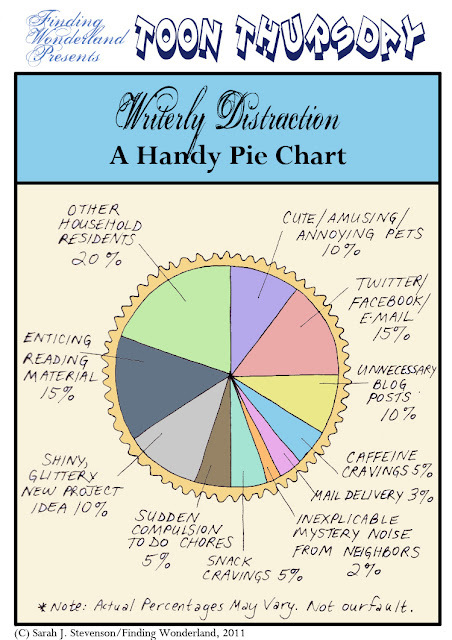 I have at various times really made my way around this pie chart more times than I care to remember. Thanks for the laugh, I needed it. Tanita, definitely there are other distractions...MANY others. Only limited by one's own imagination. Oh, I love this! But chocolate would need its own category in my house! I've just determined that I'm leading either half of your life, or twice of your life. Hmm.